Finnieston has become one of Glasgow’s hottest locations in recent years. Whether you’re looking for burgers, seafood, Korean food or just about any other type of cuisine you can think of, you’ll probably find it around there. It’s one of our favourite places to visit when out and about in Glasgow and it’s also home to one of our favourite burgers – the ‘Big Lebowski’ burger. We’d received some positive feedback regarding Neighbourhood, which is located just steps from Lebowski’s. 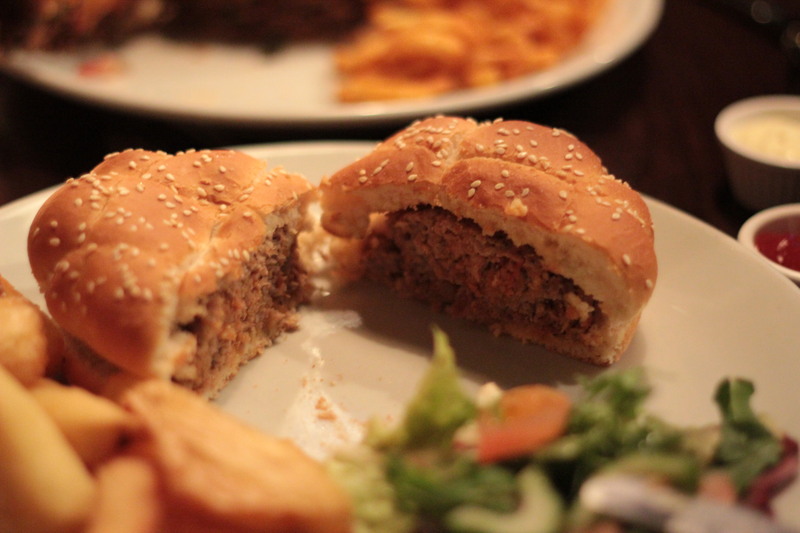 We decided to head along to sample a couple of burgers to see if they could top Lebowski’s burger as our pick for the best on the Finnieston strip. Inside, Neighbourhood is small and unassuming. The room is divided into two – an area that houses the bar and tables and a seperate, smaller room containing just another handful of tables. Overall, it’s a fairly nice, chilled out bar that was very busy during our visit. There’s a good beer selection too. All burgers are served on a ‘2-4-1’ basis and there’s six to choose from along with several toppings to add, should you wish to do so. We went for the Italian Sausage burger and the ‘Hood Beast’. 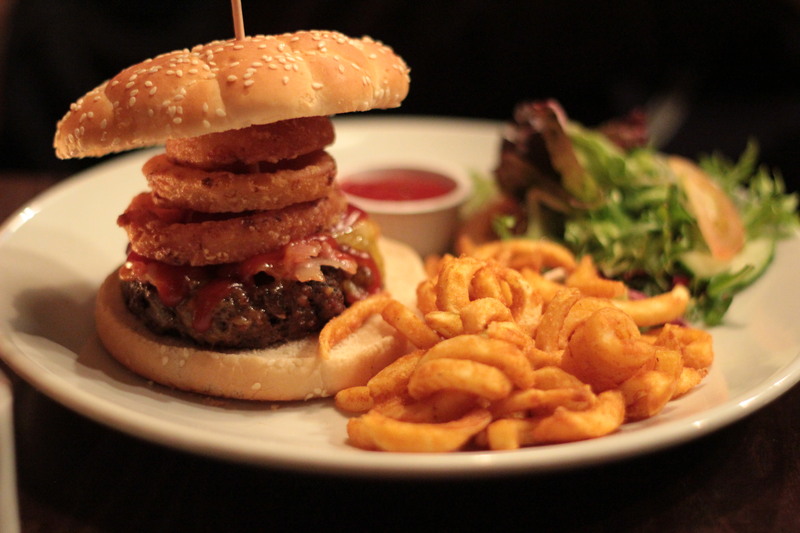 The ‘Hood Beast’ consists of an 8oz minced steak patty topped with bacon, cheddar, BBQ sauce, chilli relish, salad and onion rings on a seeded bun. Presentation-wise, it was a bit of a let down. The bun was pretty big and the patty and other toppings just didn’t fit. The onion rings were stacked up on the patty and the top half of the bun was almost balancing on everything else. It all just looked odd, almost like burger lego gone wrong. Taste-wise, it was a mixed bag. The patty was fairly well seasoned and the onion rings were actually crispy, which was nice; however, the meat was a bit dry and we had to add quite a lot of the chilli relish that we got on the side to combat this. The problem with adding a lot of the relish; however, is that it devours the seasoning that’s in the patty and in the end, all you can really taste is relish and bread. The bun tasted quite flat too, almost like ‘dead bread’. It didn’t fall apart, but it didn’t have any real taste at all and added nothing to the overall burger. The Italian Sausage burger consists of an 8oz minced Italian sausage patty served with chilli relish and salad on a seeded bun. Presentation-wise, it didn’t look appealing at all. The patty was served on the dry bun with everything else on the side and it just didn’t seem like much thought had gone into how it looked on the plate. The patty on the other hand, smelled and tasted very good. The minced sausage meat provided a unique taste and a nice change from the standard beef patty. It was superbly seasoned and adding a small amount of chilli relish really brought out the herby seasoning well. Unfortunately, it was again let down a little by the poor bun, which added nothing other than being a case for the patty. Price-wise, these burgers are two for the price of one but even with that offer, there are better value burgers in Glasgow to be had. 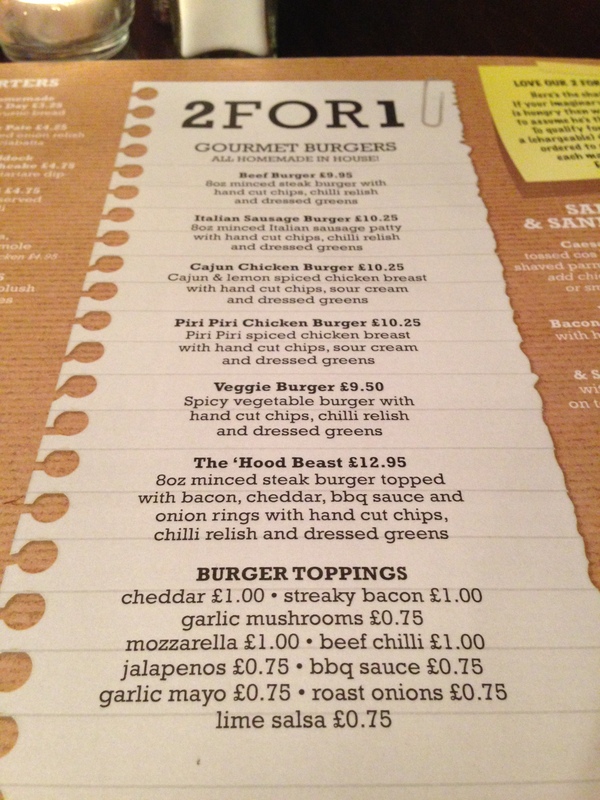 Two ‘Hood Beast’ burgers are going to cost almost £13, more if you decide to add toppings. Both burgers were served with fries and salad. We had one burger with cajun curly fries, which were fairly good but lacked cajun seasoning and the other with chunky chips which were much better. Neighbourhood was a mixed bag. The Italian Sausage patty was excellent and very unique. With a few minor changes, I’d definitely eat it again. A different bun would go a long way to improving things as would a few carefully thought out toppings to compliment the meat. There’s certainly potential here, but at the moment, Neighbourhood does little to steal the best burger in Finnieston crown away from Lebowski’s. Not the best burger ever, but certainly not the worst either. + Italian sausage patty was very well seasoned. 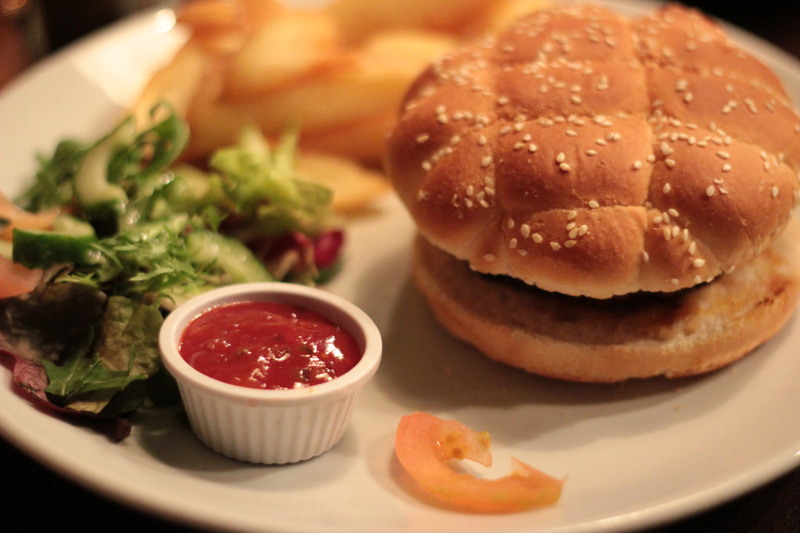 – Presentation could be better – bun too big for the patties. 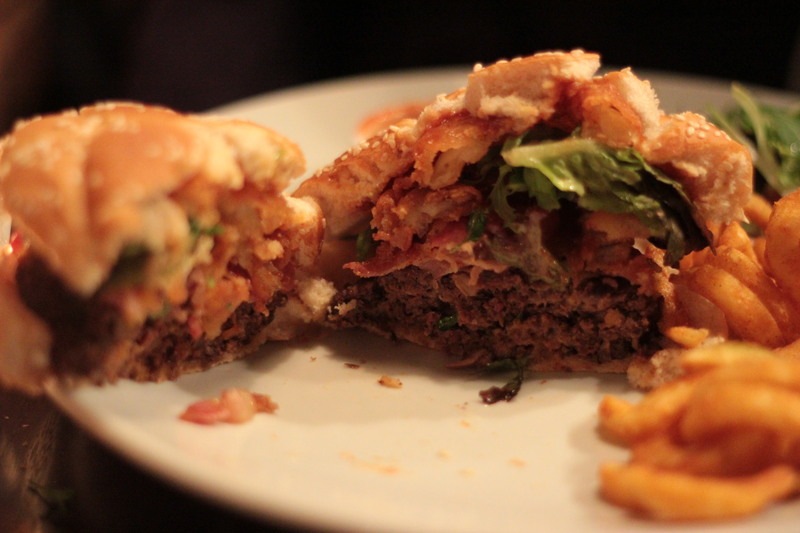 – Despite 2-4-1 deal, there are still better value burgers to be had in Glasgow, especially if both people add toppings. 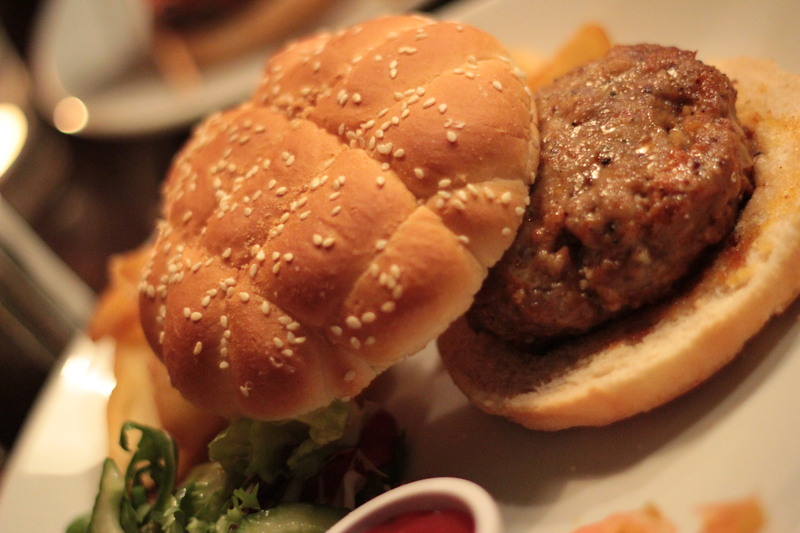 That Italian Sausage looks awful, you would be served a better looking burger in Wetherspoons. The presentation was indeed bad. The patty was surprisingly good though. I’ve been going to Neighbourhood fairly regularly for a few years now, and I have to completely agree with everything you said in your review re: the hood beast and italian sausage burger. 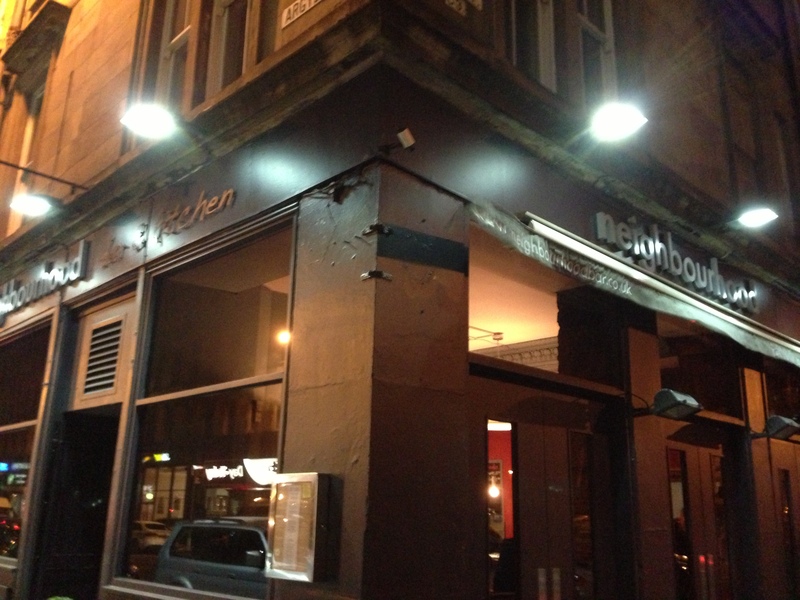 However – their standard burger is right up there in my eyes with the finest in Glasgow! It’s the same patty as they use in the hood beast, but without all of the over the top embellishments, and if you just get it with mozzarella and maybe a few jalapenos it is genuinely delicious!